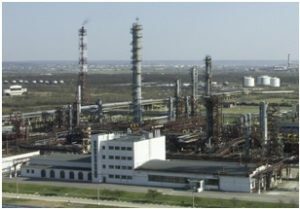 Raw material for ethylene production – straight-line gasoline, acyclic hydrocarbons, CFLB, butane fraction and recycling fractions C2, C3, C4, C5. 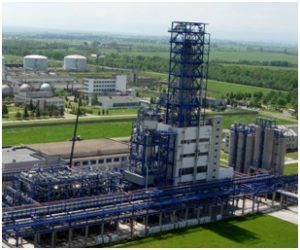 In October 2005, an installation of hydrogenation of the C4 / C5 fraction with a capacity of 90 640 tons per year was put into operation, the project developer – the company “Linde” (Germany) on the technology “AXENS” (France). The volume of investments amounted to 15 million dollars. USA. Main products: ethylene, propylene, benzene. By-products: fraction C4, fraction C5, fraction C9, heavy pyrolysis resin. The production of polyethylene is based on gas-phase technology under the license of the Union of Karbaid (USA). Polyethylene by gas-phase technology is obtained from ethylene and copolymers in a fluidized-bed reactor using a catalyst at low pressure. Ethylene from olefin production is the main raw material, and hexene and butene are used as copolymers. The use of copolymers and catalysts allows the production of grades of polyethylene with different properties and a wide range of uses.  warehousing and shipment of the finished product. Main products: low pressure polyethylene.